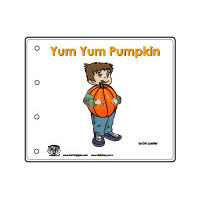 Pumpkins are a symbol of fall and children love this orange fruit. From their bumpy outer shells to their pulpy insides, pumpkins offer numerous opportunities for investigating using all of the senses. They can be carved, cooked, touched, shaken, rolled, smelled, and tasted. Top the experience off with a yummy, unusual pumpkin treat. 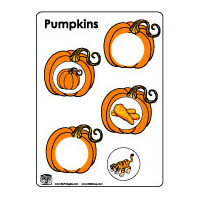 Provide a bathroom scale and pumpkins of different sizes. 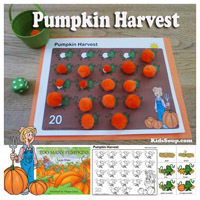 In a circle, let children pass the different pumpkins around. Is it heavy, light? Is it heavier than the previous one? 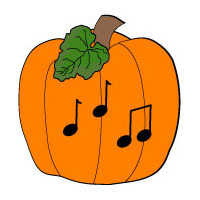 Place the pumpkins in the middle of the circle. 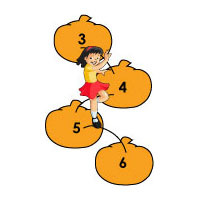 Have children estimate the weights of the pumpkins and write the number on the board. Weigh the pumpkins and compare their weights to their guesses. Place the scale and the pumpkin in a center for children to weigh the pumpkins again. Encourage children to compare their weights. Fill a large tub with water. 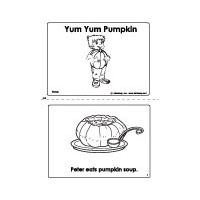 Have children guess if the pumpkin will sink or float. 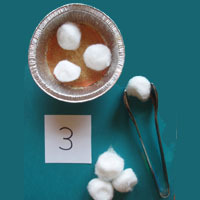 Drop the pumpkin into the water and observe if the pumpkin sinks or floats. Discuss why they think the pumpkin floats. Cut open a pumpkin to reveal how a pumpkin looks inside. 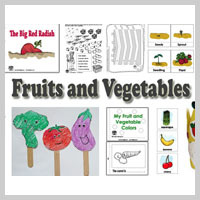 Let children separate the different parts -- seeds, skin, and pulp. 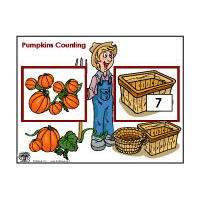 Have children estimate how many seeds are in a pumpkin. 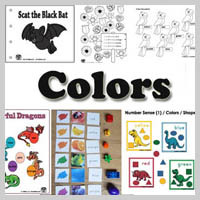 Encourage children to create groups of 10. Then, count the seeds. Bake the pumpkin seeds for a yummy snack. 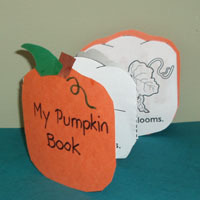 On large index cards draw the growth stages of a pumpkin or print out our pumpkin sequencing cards. 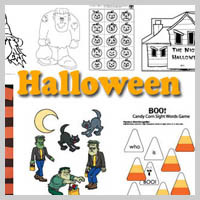 Mix up the cards and let children take turns placing them in order. 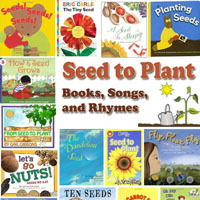 If you have a garden, let children plant and grow their own pumpkins. 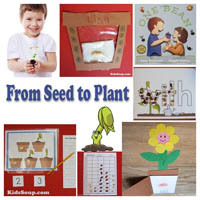 Make pictures of the different stages and discuss the pictures with children. 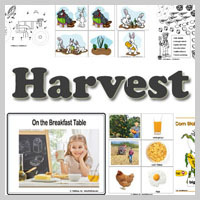 Use them later for some sequencing activities. 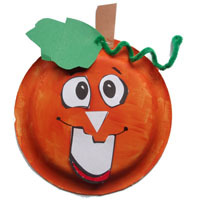 When the pumpkins are still small and green, let children carve their name and some designs with a nail on the pumpkin. 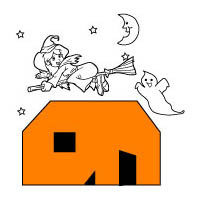 As the pumpkin grows, the design and their name will get bigger. If possible, take your children on a field trip to visit a pumpkin farm. 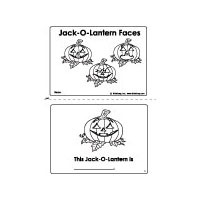 Let them choose a pumpkin and create and carve a Jack-O-Lantern together. Print out our Pumpkin Harvest Mat. 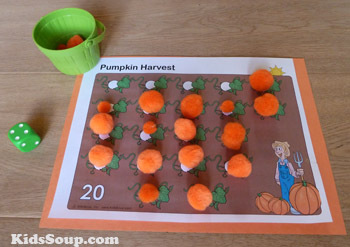 Count and place 20 orange pom-poms on the dots. 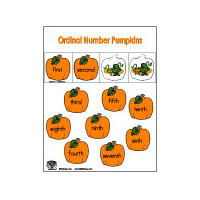 Have children roll a die and pick the matching number of pumpkins from the pumpkin patch and place them inside a small basket. 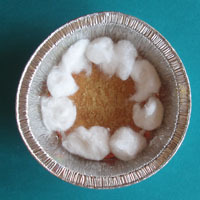 Place a couple of pumpkins in your woodworking area or in an empty sand table. Provide safety goggles, small plastic hammers, and golf tees. Let children hammer the golf tees into the pumpkin. When the pumpkin falls apart, let children remove the inside and the seeds. Let children continue to use the tees to make the pieces even smaller. Instruct children to make big circles around their heads using their arms. Spread pizza sauce on English muffin halves. Then sprinkle grated orange cheddar cheese on the top. Use black olive pieces to create Jack-O-Lantern pizzas. Place the muffin halves under the broiler until the cheese is melted. from a seed in the ground. in a very safe place. All are ready for Halloween! 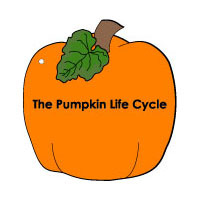 Pumpkin Patch - Everything You Ever Wanted To Know About Pumpkins!